This wine comes from some of our oldest vineyards we have in the Herrenweg. 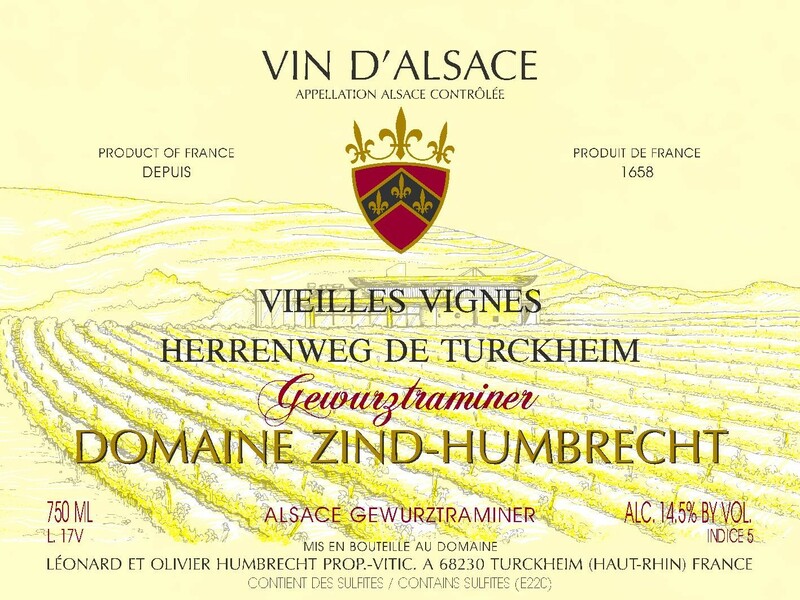 They are usually included in our classic Herrenweg Gewurztraminer, but in 2008 they were carrying a little less crop and we ended up separating them in another cask. If the numbers would say t hat they are similar wines, the taste actually reveals more character and complexity. There was about 20% noble rot on the grapes and despite a normal harvest without any cluster selection; they reached very high ripeness level. It isn’t our intention to produce Herrenweg wines with overly late harvest character unless nature dictates this style. 2/2010: still very floral and aromatic, but these old vines also show more spicy complex character on the nose, more restrained style and underlying power. Clearly, this wine has more to show in the future. The palate is big and powerful with a very long finish. This wine could be described as an old style Gewurztraminer and hard to believe that it doesn’t come from a top hillside.